Kempston Rural Walk at Kempston Walking RouteKempston Wood (40 acres) was bought by the Woodland Trust in 1997. It is an ancient wood of ash, oak and field maple situated on the West Bedfordshire Clay Ridge within the Marston Vale Community Forest. Fine views of the surrounding countryside and Bedford town can be seen from the wood edges on this pleasant circular walk. 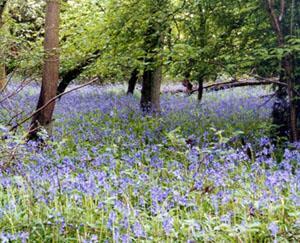 Kempston Wood (40 acres) was bought by the Woodland Trust in 1997. It is an ancient wood of ash, oak and field maple situated on the West Bedfordshire Clay Ridge within the Marston Vale Community Forest. Fine views of the surrounding countryside and Bedford town can be seen from the wood edges on this pleasant circular walk. How to get there by car/Parking: Kempston Rural is accessed by the A5134 which runs from Kempston to Bromham. Kempston is situated south-west of Bedford. Parking is available at Church End, Kempston Rural (closing at dusk).